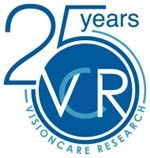 Visioncare Research Limited is a clinical research organisation (CRO) specialising in medical device research and clinical trials. We have over 25 years' experience in assisting projects from concept to successful completion, regulatory submission and publication. Our experienced personnel and certified ISO compliant systems are dedicated to surpassing our clients' expectations for efficient, intelligent solutions. We provide a wide range of clinical research services from study design through site monitoring and administration to data analysis and medical writing. We also offer specialist services in vision and ophthalmology research and, with our partners, can provide innovative solutions to novel problems.